We are experiencing the most rapid period of technological change since the industrial revolution. It’s being driven by a collection of interrelated technologies – fast communication networks, the internet of things, robotics, cloud computing and artificial intelligence, writes Joakim Reiter. Joakim Reiter is the group external affairs director at Vodafone. These technologies are unique in scale, reach and the speed at which they are changing our societies and economies. Long-established systems of production, management and governance are already being redesigned and redefined. And McKinsey estimates that automation technologies could affect 50% of the world economy and $14.6 trillion in wages. Consequently, the way we work and the types of jobs available are rapidly changing. 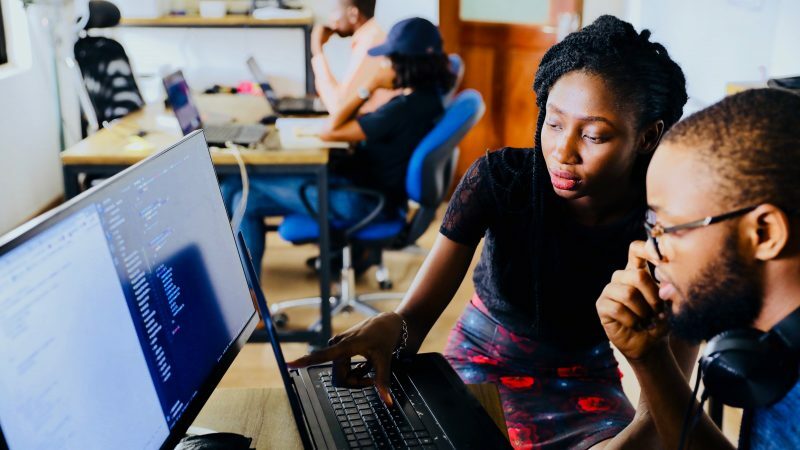 This has raised serious questions about the future of employment and led policymakers to prioritise the development of digital skills as a way of evolving the workforce for a digital future. The European Commission estimates that nearly half of Europeans don’t have basic digital skills and that there will be a shortage of 500,000 technology workers by 2020. EY research found that 67% of HR leaders said that skills shortages were damaging top-line growth and 73% see a negative impact on productivity and profitability. A study by Capgemini found that 54% of employees believe that a lack of digital talent is hampering transformation and leads to a lost competitive advantage. A global study by Ipsos, sponsored by the Vodafone Institute and covering 9000 people across 9 countries, found that 85% of respondents said they need digital skills in their job, but only 32% of respondents from across Germany, Italy, Spain, UK, Bulgaria and Sweden acquired them at work or while studying, with 67% teaching themselves. These studies point to a harsh reality. If Europe’s workforce doesn’t develop the skills needed to meet the needs of digitalised society, our economies will lag behind in competitiveness, experience poor growth and high unemployment, and living standards will stagnate. Education – Students we should leave school with a basic digital literacy. Technology skills, such as basic programming, web development, and computational thinking should be core subjects, alongside reading, writing, and arithmetic. Educators should also impress on students that that developing new skills is continual and a lifelong pursuit. Workforce – Workers need to be given the time to develop their digital skills on the job. Training should be mandatory and linked to remuneration. It’s notable that the Vodafone Institute research found that 84% of respondents in India and 76% in China get up to five or more hours of digital training during the working week. For European workers this is less than 50%. Society – We need to challenge assumptions about the development of digital skills. It’s not only about subjects like coding, programming and database management, but also about developing expertise in design, creativity, management, and empathy. Government, businesses, and educators should work to broaden the debate beyond experts to the wider public. The expansion of digital skills must keep pace with technological change. Equipping European citizens with digital skills is no longer a “nice to have”, it’s an economic and social necessity.